Unfortunately, many people don't know much about midwives and still view midwifery as some sort witchcraft. However, if we take into consideration that birth is a natural and normal life event, we can start understanding that there is no need for so much intervention in the pregnancy or birth process. We have recently completed a new responsive design website for a very well known midwifery center in Orange County, CA: Blessed Beginnings Midwifery. >>Jumpstart Your Brand! 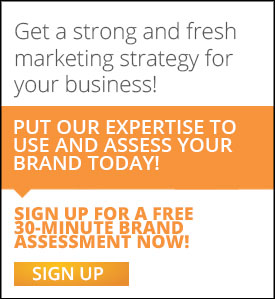 Get a FREE 30-Minute Brand Assessment. It has been a pleasure to have collaborated with Blessed Beginnings in the development of all content as well as the design and programming of this website. It features a wordpress CMS that will allow the client to easily make changes and responsive design technology, which responds to user’s behavior and environment based on screen size, platform and orientation. This way, Blessed Beginnings Midwifery will have only one site that adapts to each and any specific device (desktop, smartphone or tablet) and not a separate desktop site and a separate m.site. CONGRATS ON YOUR NEW SITE BLESSED BEGINNINGS! TO MANY MORE BABIES!